Choosing art for your home can be pretty much a pain in the a$$. And, that is not only because of the ginormous amount of stunning works out there but of their cheesy price tags, most of us can't afford. Etsy is a great source of beautiful original artworks at decent prices you can hang on your wall and actually feel proud about them. I narrowed down my picks featuring female figures this time, in art prints below $70 each. What do you think? Would you hang any of the above in your home? 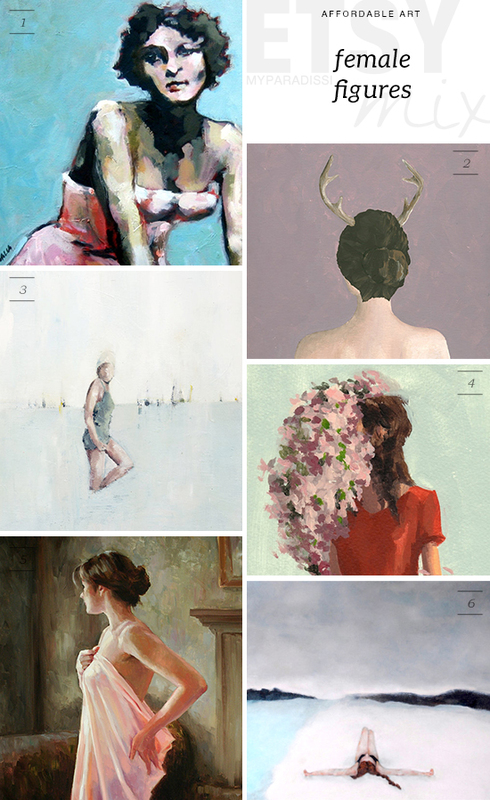 2 comments on "ETSY MIX: Affordable figure paintings"
love these picks! all are so beautiful.... think my faves are 3 and 4! These are beautiful! I love the serenity in no 6.